Contact Address: Igbinedion University, College of Pharmacy, Pharmaceutical Chemistry Department, Okada, Benin City, Edo State, Nigeria. To optimize resources and advance development in the establishment I find myself, and additionally, to be the best in my field. 2008-2010: MSc Formulation Science, University of Greenwich, London. 2004: Diploma in Desktop publishing, Mikon Institute of Technology Benin City, Edo State, Nigeria. 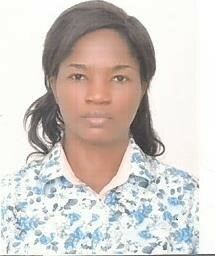 1998-2004: BSc Pure and Applied Chemistry, University of Benin, Edo State, Nigeria. 1992-1998: Senior Secondary School Certificate, Newbreed Secondary School, Kaduna, Nigeria. JEDIDIAH SCHOOLS BENIN CITY, EDO STATE, NIGERIA. 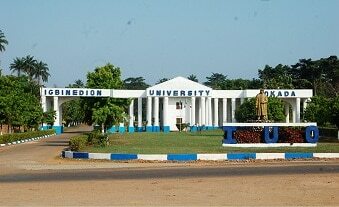 IGBINEDION UNIVERSITY, OKADA, EDO STATE, NIGERIA. Impacting the world positively, studying. Investigating the effect of thiols on the size of gold and silver nano particles. Assay of cytotoxicity of pharmaceutical compounds; 2-cyano-3-[3-(trifluoromethyl) pheny]propenoate , 2-fluro benzylidenemalonitrile and 2-amino-4-(3-nitrophenyl)-4H-naphtha2,1bypyran3-carbonitrile.